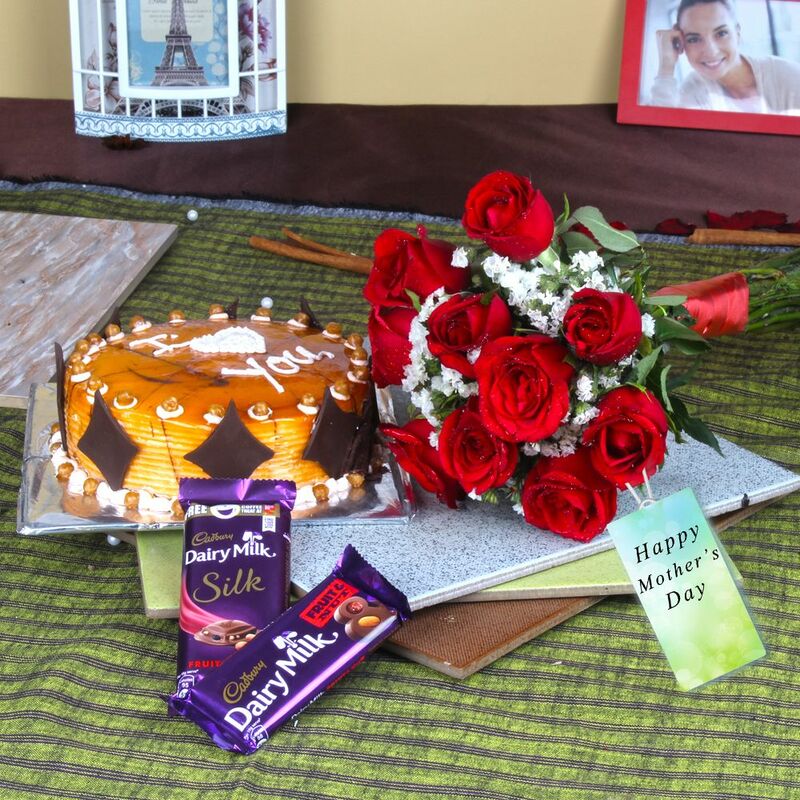 Product Consist : 10 Red Roses Bouquet, 1 Kg Butterscotch Cake along with 2 Bars of Exotic Cadbury Dairy Milk Chocolates. 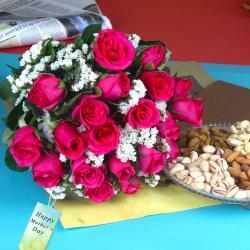 Take a look at this amazing gift item store which is available for Mother's Day gifting at Giftacrossindia.com. A mother is only a person who does not mind giving up her time, sleep, pleasures etc. to ensure that her child is all right. 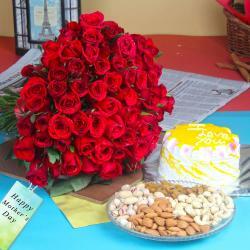 Surprise your mother with a butterscotch flavor cake which is yummy and creamy and it is universally loved by all. 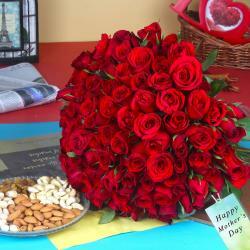 Red Roses for pure love wishes with Tempting exotic chocolates treat. Browse your favorite products it is very conveniently available for online shopping from anywhere in India with Same Day Delivery option. So go on and place your order now to show her how much she is important to you. 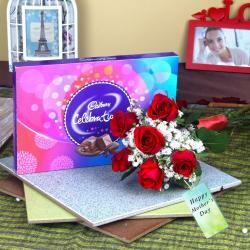 Product Includes: 10 Red Roses Bouquet, 1 Kg Butterscotch Cake along with 2 Bars of Exotic Cadbury Dairy Milk Chocolates.